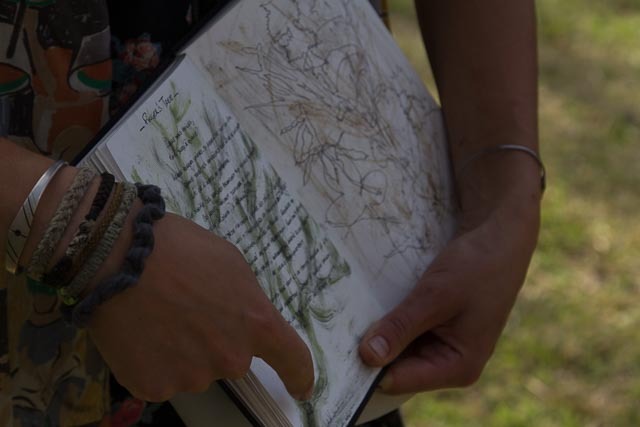 Poetics of Place - a immersive nature writing workshop with Dr Tamsin Kerr. Hold concerts and performances with musicians who work with place and soundscapes (at least two per year). 1, 2, 4, 5. Dangerous Songs concert with Linsey Pollak and Lizzie OKeefe. 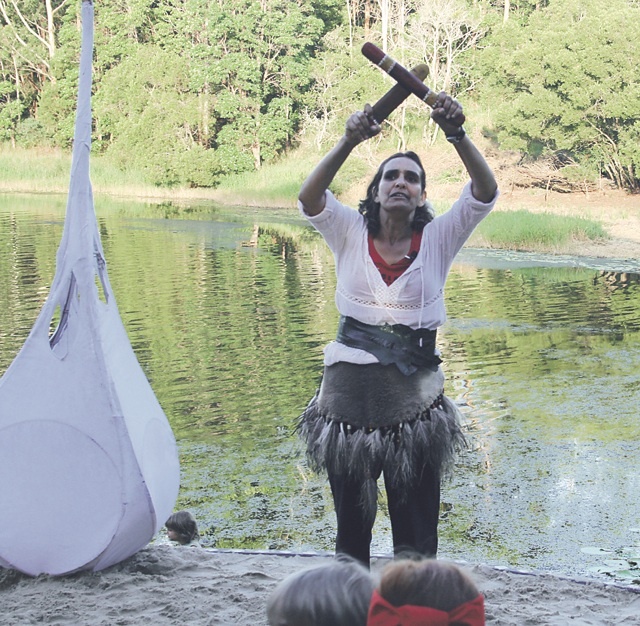 Beverley Hand, Kabi Kabi elder and organiser of the Bunya Dreaming. 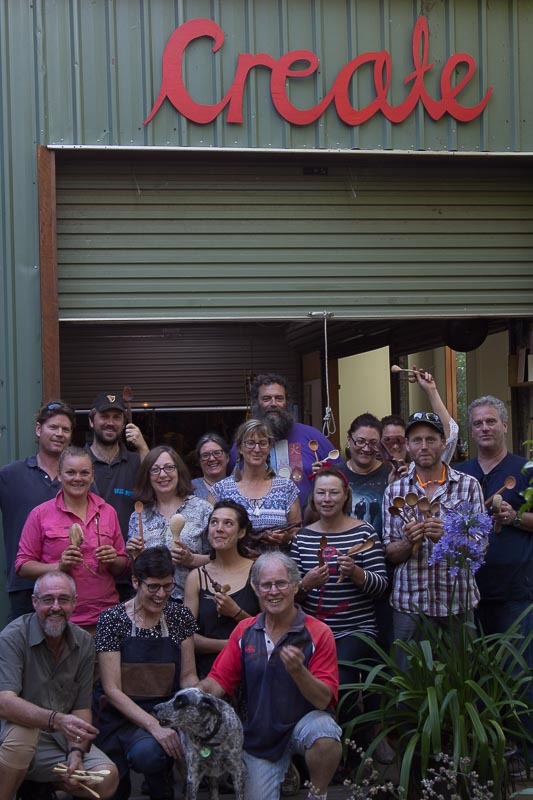 Celebrating spoon carvers outside the Cooroora Institute studios. “Artists” include writers, musicians, soundscape artists, dancers and body workers, sculptors, painters, eco-dyers, ceramicists and potters, furniture and wood artists, jewellers, metal workers, art blacksmiths, and other designer-makers who fully practice the fine craft of place. Artists are non-human as well as human: the bark and grain of trees speak a language that human poets might translate; the song of the birds merges with the improvisation of the cellist; the wind moves in the grasses like the human hand with the woven reed. “Craft” is not a dirty word. There is a writer’s craft and a woodcraft; a craft of potters and of pottering; a sound craft of collaboration across this more-than-human world. Craft is slowly learning a fine skill set through hand, heart, and mind. Craft is re-membering the world. Craft is listening to the voices of natural materials. Craft is learning to inhabit the flow of place and the song of the earth.